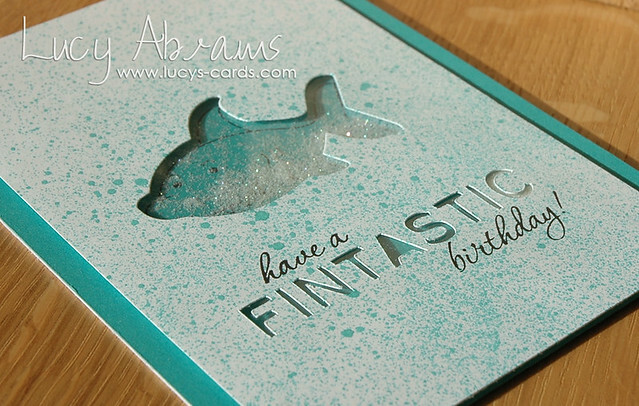 I used my Silhouette to cut the 'fintastic', then used stamps from THIS set to create the rest of the sentiment. And I added lots of Studio Calico Neon Aqua Mister Huey's. Yum. Time to enjoy a nice weekend with my lovely girl and hubby. Yay! Your cards are So amazing. I aim to try and be as good a paper-crafter as you are. Oh this is so adorable!! Love the cutout! Wow this is amazing I really love it. Have a great weekend. Heehee, so clever, Lucy! Love your play on words, and the splattering is brilliant! Joehoe!! 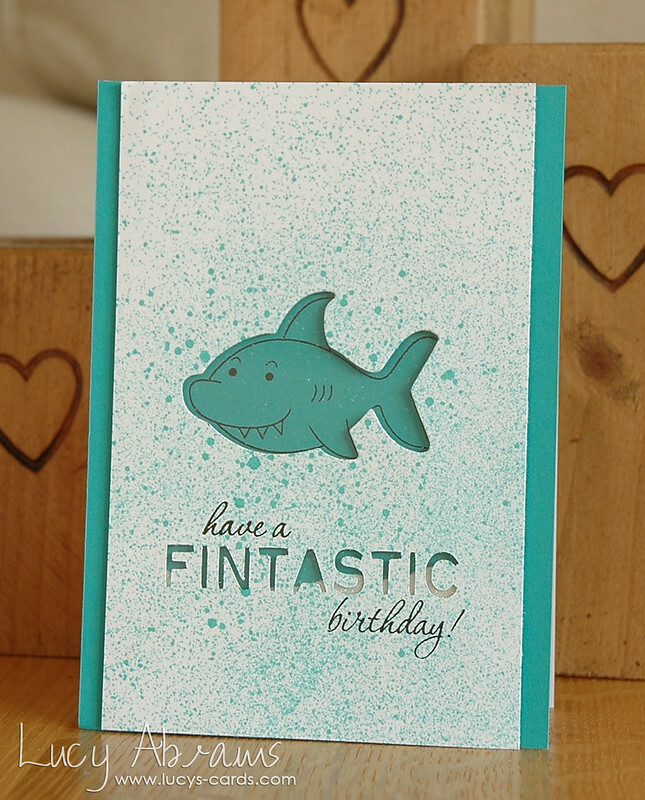 love the way you used the shark!! Great! here if you want to take a look!